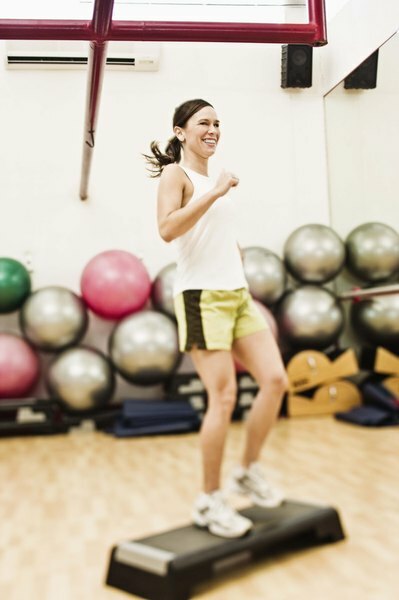 Choose high-intensity activities for the best calorie burn. If you're trying to lose weight, the best thing you can do is to combine diet and exercise. If you refuse to abandon your somewhat decadent eating habits, you can still lose 2 pounds a week with exercise -- but be ready for hard workouts and lots of sweating. A single pound equals 3,500 calories, according to the Mayo Clinic. That means if you want to lose 2 pounds a week, you'll have to burn 7,000 calories or 1,000 calories per day. That's a tall order for anybody, no matter how active you already are. Burning 1,000 calories will require high-intensity exercise, so be ready to sweat like crazy every day of the week. There's no set amount of time you need to work out every day in order to lose 2 pounds a week. What's more important is what type of activities you choose. In short, go for what burns the most calories in the least amount of time. For example, running is a far better choice than walking -- the first one can burn up to 1,000 calories per hour while the second one burns less than 200 calories if you're moving at a slow pace. If you can't run, you would have to walk for five hours a day in order to achieve your goal of 2 pounds lost in a week. The more you weigh the more calories you'll burn when you exercise. That means a 205-pound woman will burn 1,000 calories a lot faster than somebody who weighs 155 pounds. For example, you'll burn 791 calories an hour doing step aerobics if you're 205 pounds. If you're 155 pounds, however, you'll only burn 598 calories -- even if the intensity is exactly the same. Almost all cardio machines burn a significant number of calories if you work out vigorously on them. For example, the rowing machine burns about 598 calories per hour, while the stair machine burns 633 calories. 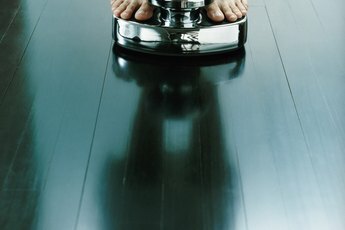 Running on the treadmill at 7.5 miles per hour burns 880 calories. You can also try martial or kickboxing, which burns just over 700 calories per hour, or jumping rope, which can burn up to 844 calories per hour, depending on how fast you jump. These numbers are all based on a 155-pound person. If you find the amount of exercise required to lose 2 pounds excessive, take heart. By reducing your calorie intake just a bit, you can lose weight faster without having to work out for so long. Try cutting 500 calories from your diet on a daily basis -- and then working out enough to burn 500 calories. You'll get the same results at the end of the week. Eliminating 500 calories is easier than you think. According to MayoClinic.com, a flavored latte contains 250 calories or more, but a cup of black coffee has zero calories. You can also try switching from anything fried to foods that are grilled or baked and you'll save calories without even realizing it. 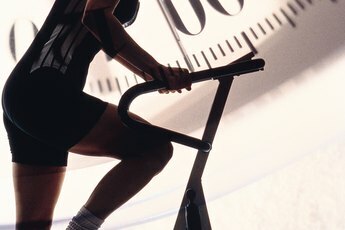 What Is a Good Number of Calories to Burn in a Workout for Weight Loss?